Modern Basics by PTI has been calling my name and after some practice designs on a piece of scratch paper this card sprung forth. For this challenge by CAS-ual Fridays and we are to use red, white and blue. Thanks for stopping by today! Fantastic design and PERFECT sentiment! beautiful stamping and design. very pretty card! thanks for joining us at CAS-ual Fridays Challenge this week! Beautiful card! Thanks for joining us at CAS-ual Fridays Challenge! 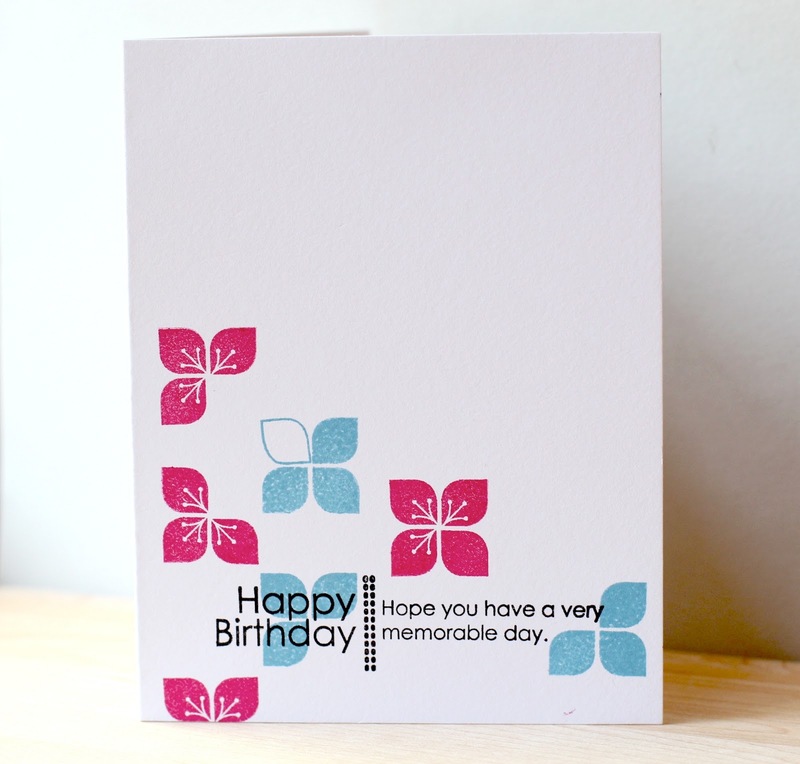 Ooooo...cool design and the stamping looks fantastic! I like the shades of red and blue you used. Thanks for joining us at CAS-ual Fridays!